melissa adams. newborn safety advocate. artist. My sessions take place at my historic studio in downtown Jasper, Indiana. My newborn sessions take place about 5-10 days after your baby is Earthside, so it's very important to book while pregnant to ensure your session. 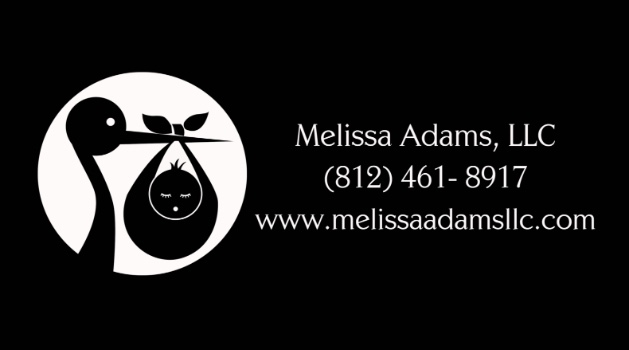 Most clients book in their second or third trimester at the latest, but if you have already given birth, please reach out to me and I'll try to fit you in. I have wraps, hats, bows, tiebacks (headbands), newborn costumes and TONS of props. I have a full wall from floor to ceiling decked out with newborn props and baby that are ready for your choosing. I love creating a custom session for my clients. I've created so many unique looks and I have a lot of fun celebrating the things that make each family and newborn special. I also offer 6 and 12 month sessions. My 12 month sessions come with a custom cake from The Mad Batter, the best bakery in Jasper, Indiana. Both my 6 and 12 month sessions last about 45-60 minutes, and include the digital files from your session with a print release. Newborn sessions take place in my studio in downtown Jasper 5-10 days after your baby is born, unless there is a NICU stay. From the corn cob toes to the curly hair on the top of their head, I capture the features in your roly poly baby. With a complimentary custom cake from Mad Batter, you can't beat these memories! Capture your baby enjoying the sweetest part of their life! My rainbow sessions are gifted once a month to a deserving family. First come, first serve so please inquire while pregnant as these are scooped up quickly! Click here to join my VIP Facebook Group!